Yesterday, I reinstalled taskbucks and within 15 minutes i earned Rs 22 Paytm cash by completing offers. 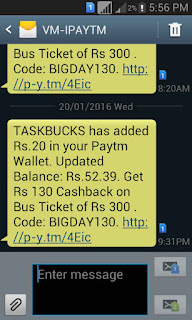 here in this post i will show you a trick to earn more with taskbucks just follow the step below. ( Recommended ) I suggest you to use a wi-fi connection during this task for speed and efficiency, if you don't have a wi-fi connection in home, you may visit to a near by cyber cafe. 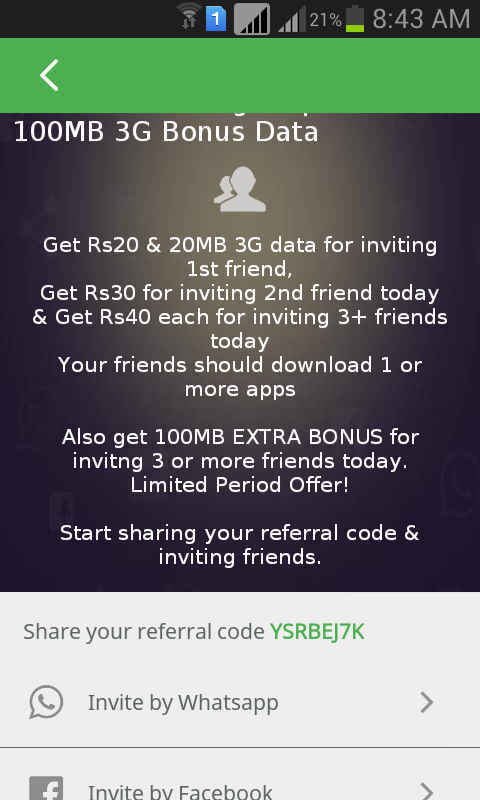 And start sharing your links with your friend, now when your friend to install taskbucks and use your referral code and complete one offer,you will receive free paytm cash per referral.